For Hotels please click the HTG image below. 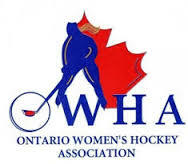 Thank you to all the female players, parents and fans for making this past weekend at the 38th Annual Walter Gretzky Tournament a complete success! A big special thank you from Walter Gretzky to Danielle from the Sudbury Lady Wolves (Atom B). We are working on a Photo Gallery of this past w/e’s winners and highlights. Congratulations to the Bantam B Finalist teams: Hamilton Hawks and Temiskaming Shores Puckhounds! From a pool of 4 teams, Hamilton Hawks have won the Walter Gretzky Tournament GOLD Medal, with Temiskaming Shores Puckhounds receiving the Silver. The game was 5-0 for Hamilton. Thank you to all Bantam B players for a great division series enjoyed by all their fans! Congratulations to the Bantam C Finalist teams: Grey Highlands Shooting Stars and Kent County Fillies! Thank you to all Bantam C players for a great division series enjoyed by all their fans! Congratulations to the Midget B Finalist teams: Brantford Ice Cats and Kent County Fillies! Thank you to all Midget B players for a great division series enjoyed by all their fans! Congratulations to the Midget/Intermediate HL Finalist teams: Nepean Wildcats and Techumseh Tigercats! Thank you to all Midget/Intermediate HL players for a great division series enjoyed by all their fans! Congratulations to the Peewee B Finalist teams: Waterloo Ravens and Ayr Rockets! Thank you to all Peewee B players for a great division series enjoyed by all their fans!